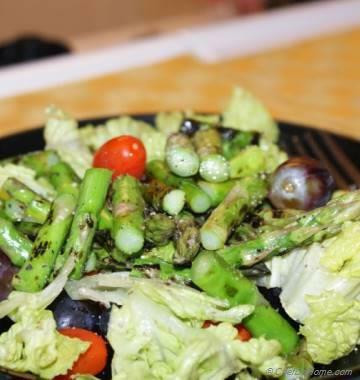 Cool and refreshing Indian savory condiment which goes well with hot and spicy dishes. Raita is generally made with yogurt and fresh vegetables/fruits. 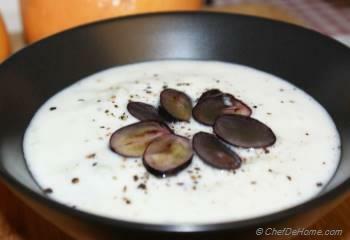 Serve this cooling yogurt concoction with anything from plain rice to spicy curries, or with salad, relish or as a dip. 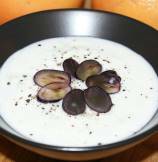 This recipe, I have made yogurt raita with fresh sweet seedless black grapes. 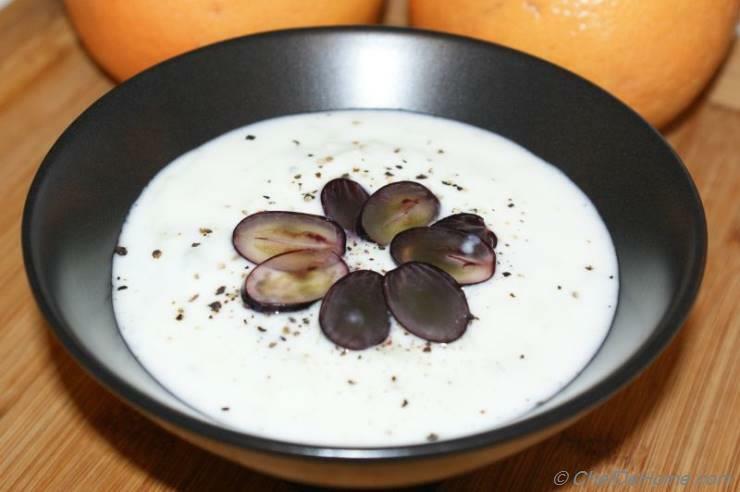 Sweetness of grapes and savory yogurt creates a perfect salty and sweet combination to create a symphony of flavors. 1. 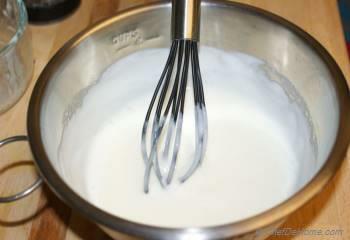 Using a hand blender or egg beater, well beat yogurt till creamy and smooth (with no lumps). 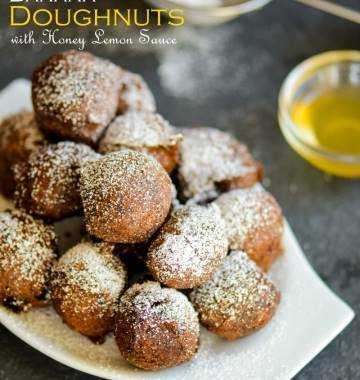 Add some water to achieve the creamy consistency. 2. Add salt, pepper, sugar to yogurt and mix well. Now add grapes (slice in halves) and stir to combine. 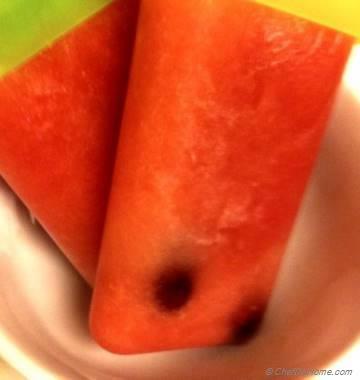 Serve it chilled with Rice Or Spicy Curries. Always keep refrigerated till ready to serve. You can make this raita quickly in just 10 minutes. Make it in advance and serve it cold. You can keep it in fridge for one to two days.